A real need to have for any Aston Martin enthusiast and prospective buyer. "It is crammed full with in-depth analysis of each model’s design and engineering, including - [ the VH platform, safety and DSC systems, engines, transmission, suspension, wheels, tyres, brakes, interior fit and function - full driving impressions - detailed reports on all the annual changes and improvements by model/ year - analysis of all the main options - details of the colour choices (inside and out) - a section on how to inspect the cars, what goes wrong and what to look for - An Aston Martin Specialist's views - real owner's reports, plus much more.] With full details on all Gaydon models released up until early 2018: Vantage N400/420/430 /GT/S / SP10 /AMR - V12 Vantage/S - GT8/12 - Rapide/S - Centenary & Q Editions - Zagato Models - Vanquish/S - DB9/ LM/SE/Carbon/GT/Bond - DB11 (V12 & V8) - new 19MY Vantage. 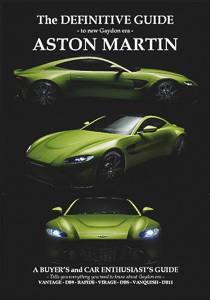 With 2004-2019 model year information & an introduction to the Aston Martin’s Hypercars." I currently use and love them, good when cold but need to warm up to produce get full grip. I managed to get 1,2G cornering! To my knowledge is the the 'Foxwell NT 510 Pro Aston Martin' the only OBD2 Scanner with special Aston Martin Software . Open the function list of the Foxwell AM-Software in a new window. 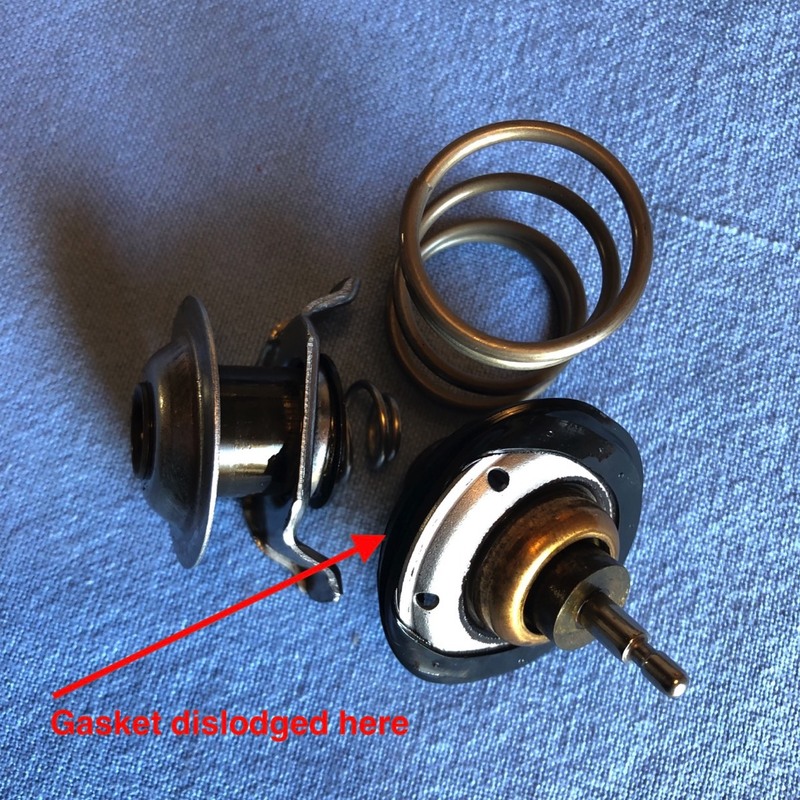 After some years the rubber gasket in the thermostat gets dislodged from it's seat and keeps the thermostat partially open. Your car will not reach its normal operating temperature, the temperature gauge will have the needle stay approximately in the 8 o'clock position, not in the 9 o'clock position as normal. This is a tell tale that the thermostat is kaputt. You find replacement thermostats on my Parts Page. It can happen that the windows forget their resting positions. A tell tale is that on opening a door the window does not wind down a bit. New programming of the fully open and closed position rectifies this problem. Get in the drivers seat, close the doors and windows. Press and hold the drivers window switch to wind down the window, upon reaching its bottom position keep holding the switch for 5 more seconds, maybe you will hear a faint click sound. Repeat points 3 to 4 for the passenger side window from either switch pack. Select a suitable road where you could perform the procedure safely and within the speed limits. 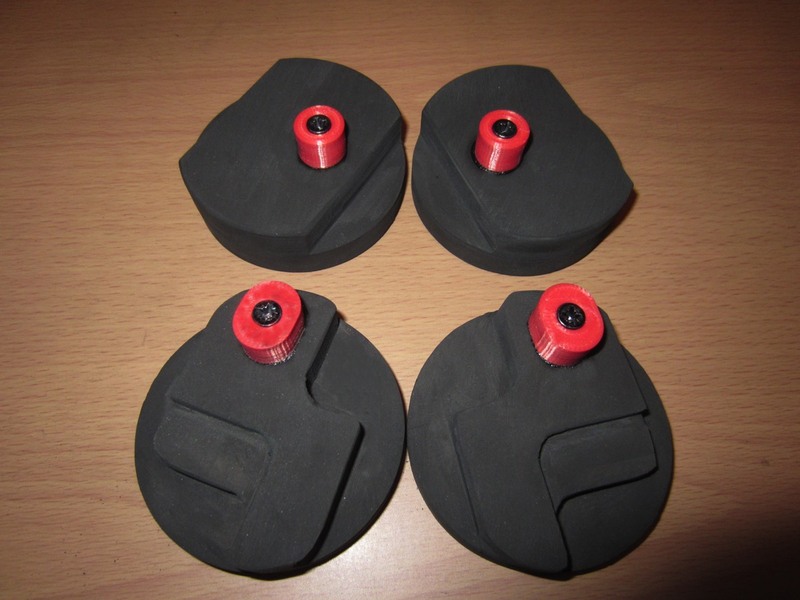 4-6 Brake applications from 150Km/h to 80Km/h using medium pedal pressure, allow 300m to 400m between the brakings for cooling. Repeat point 2 another 2 to 3 times. This is just one of many different ways to bed in new pads, it worked fine for me, well maybe I skipped the "within the speed limit" part. 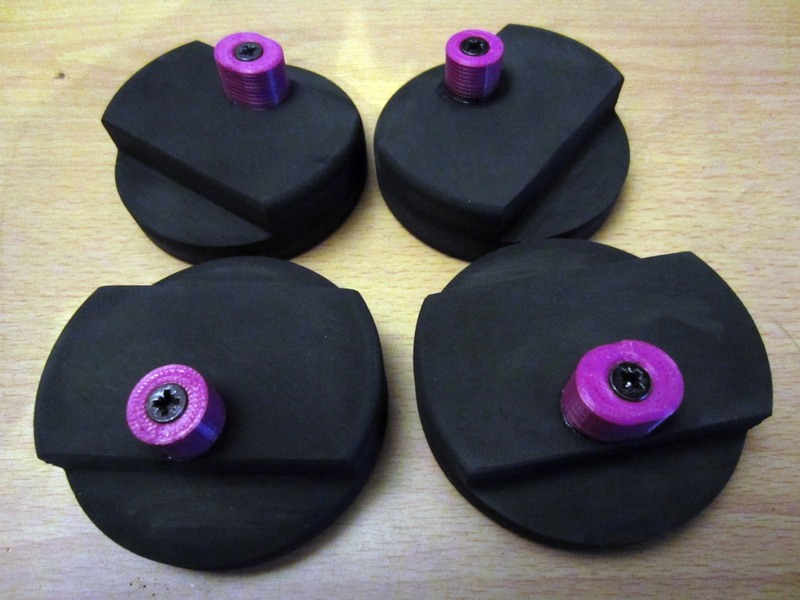 As I am lifting my car quite often, I was looking for decent jack pads to replace my ice hockey puck. 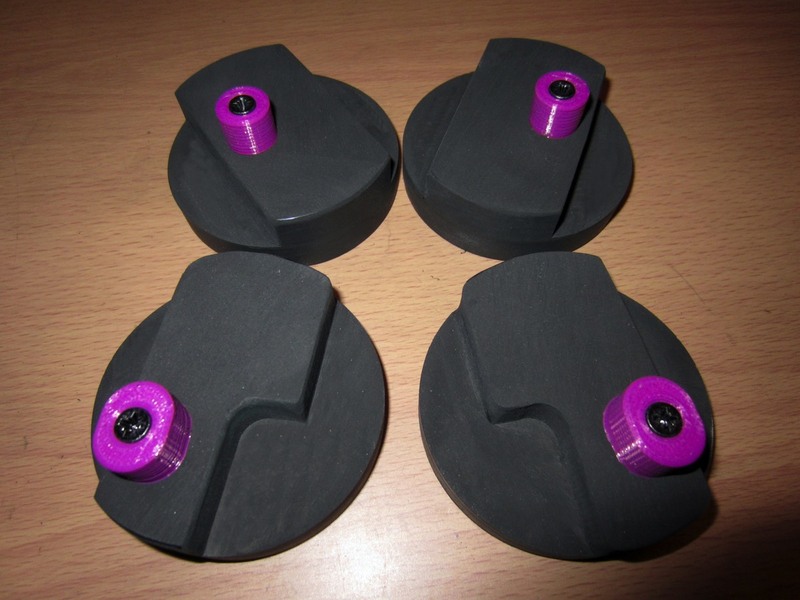 Finally I found Steve who makes bespoke jack pads at a very reasonable price and perfect fit. I did send him an email and ordered a set for my V8V which I received quickly, and I was astonished by the quality. 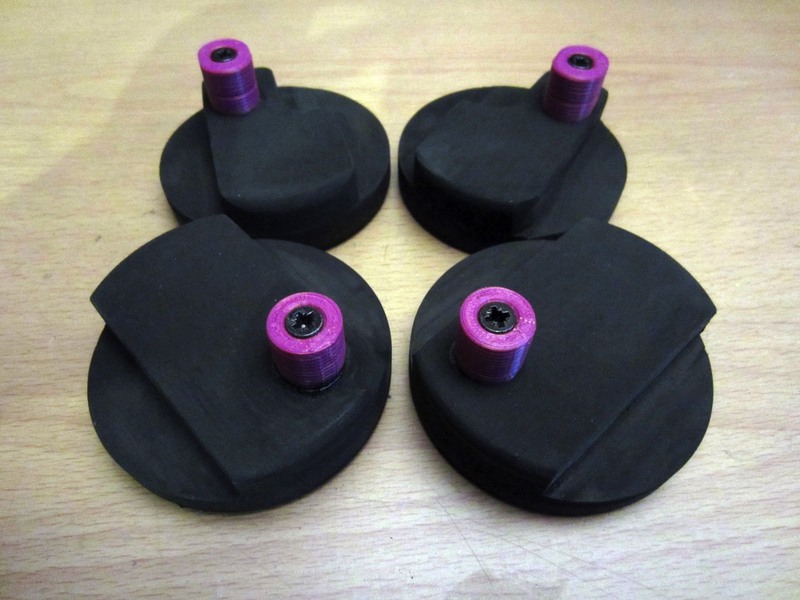 He machines them out of a special rubber block and even added a center guide - perfect. You can contact Steve and Mary at ObscureSteveMary if you like to get them for your car. Aston Martin Vantage V8 Coupè Pre2009 and V8 N400. Aston Martin DB9 and Vantage V8 ProDrive. My FEAD belt developed a squeaky noise when cold, it went away as the engine warmed up. As my Vicky is a 2009 car the update of the fead belt and pulley did not make sense to me as it should have the updated version already. 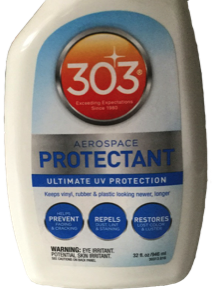 So I was looking for a different solution and found 303 Aerospace Protectant. I gave the FEAD belt a good spray on both sides and the squeal was gone for good. I did this two years ago and so far no noise from the belt returned. I bought it from Amazon for around € 20. Read the description 303 can be used for a lot of different applications. You can open this page as PDF in a new tab and save it from there.